Did you know we offer Remote Computer Repair Services? North Bay Computer Repair is committed to helping you. Looking for On-site Business Computer Support? We service ALL brands of laptops. Price includes all labor and parts. All repairs are performed quickly to get you back up and running. We provide free pickup in Santa Rosa & guarantee a 72 hour turn around (rush services available). *$199.99 price applies to most computers. 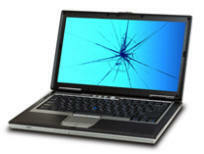 If you have a broken, damaged or malfunctioning Laptop LCD screen, this is the service for you! All Laptop Repairs are Guaranteed! Ask about our superb part discounts! Tell us the symptoms and we'll figure out why your PC is not performing as expected. If you decide to have us fix the problem, the diagnostic is Free! We are experts at removing all virus types including newer ransomware viruses like cryptowall and cryptolocker. Are you experiencing pop-ups or a slow PC? Did your computer stop responding or freeze? Is your system crashing or failing to boot? Do you see error messages or warnings? If you answered yes to any of the above, your PC may be infected with a virus or spyware. Our expert, friendly techs are here to help you and fix your problems quickly. Some users know what they want -- they just want to start over from the very beginning. With our PC Restore service, we'll re-install your operating system and all the appropriate device drivers, plus up to three applications you provide (ex - office applications, video games, etc). Includes free pickup and delivery in Sonoma County. Service takes up to 72 hours for completion. How old is your PC? If your computer is more than a year old you probably need a PC Tune-up. Like your car, computers need regular maintenance and periodic performance upgrades to keep them running smoothly. Our tune-up service includes several maintenance procedures aimed at vastly improving the security and performance of your PC. Includes free pickup and delivery in Sonoma County! This services takes up to 72 hours for completion. Our tune-up service includes several maintenance procedures, such as spyware and virus removal to improve security and performance. We also include our PC Tune-up service to protect you against future spyware and virus problems. Have a new computer and need help moving your stuff from the old to the new? Many people have trouble getting all their data off of their old computer and onto the new one. We'll take care of this task for you and get your data files migrated to the new PC in no time. Viruses and malware are two of the biggest dangers facing PC users. We will install and configure proven, reliable anti-virus and anti-malware software on your PC, protecting you from being infected in the future. The best part is we manage this protection package for you, with technicians that check the health status of your software daily to verify the software is always working as it should for you. Does not include virus removal service. rates when that work is performed after hours or on Sundays at the customer’s request. to address your problem right away. You can't trust your valuable data to anyone. You can trust North Bay Computer Repair, We Guarantee It! Affordable, reliable technicians, here to help! We Repair All Laptop Computers & PC Brands! Copyright © 2008-2019 NorthbayComputer.com All rights reserved.